Final Fantasy Anthology combines two titles from the Final Fantasy series and offers PlayStation owners a glimpse into the past. Huge worlds, in-depth storylines, and innovative battle and magic systems, and an incredible cast of characters all make for a deep gaming experience. The inclusion of Final Fantasy V marks the first time this title has appeared on a console in North America. 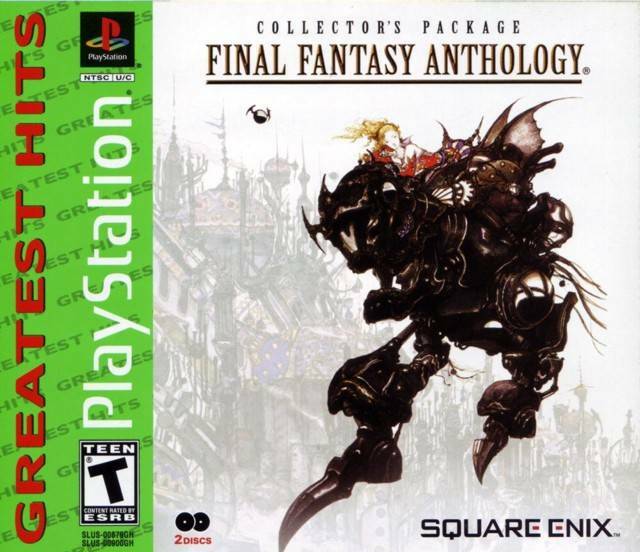 Final Fantasy VI, originally released as Final Fantasy III on the SNES system in the U.S., makes its first appearance on the PlayStation. Both games in this compilation feature never-before-seen CG movies, adding to the appeal of these classics.